SAVE: Buy 2, Save $6; Buy 3, Save $21! Two pounds, or 220 Level tsp. of Product. The most important nutritional supplement you can provide your pet! As a raw, uncooked and enzyme-rich daily nutrition boost, there is nothing better you can do to Maximize the health of your pet. Provides the resources to help the body improve metabolic activity that provides a variety of antioxidant benefits. Earn up to 225 Loyalty Points. 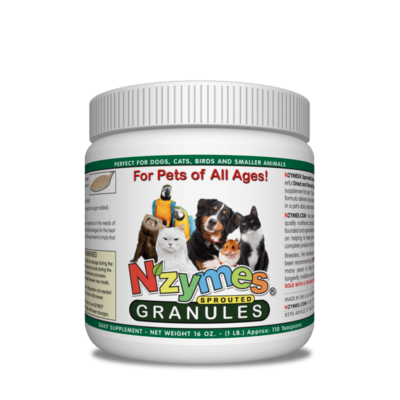 NZYMES® Sprouted Granules are made with powerful Dried and Ground Soybean Sprouts as a regular daily feed additive for pets. This uniquely balanced “Superfood Protein Formula” helps to deliver natural enzyme activity and supports healthy cells by providing natural free radical reduction. 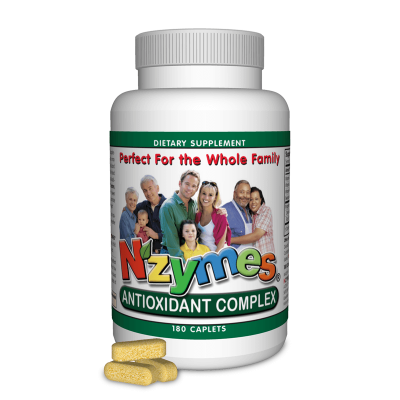 * NZYMES® “LIVE” formula is designed to help replenish important enzymes lacking in today’s diets of over-cooked and processed foods. 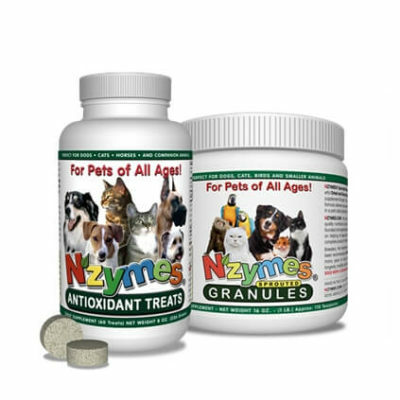 Veterinarians, Breeders, and Animal Nutritionists have been recommending NZYMES® Sprouted Granules for many years to help promote good general health, longevity, mobility, and vitality for pets of all ages. NZYMES® Sprouted Granules are the most economical option for those seeking to use our NZYMES® formulas. Each 2-lb. jar contains about 220 level teaspoons. For larger pets, over 60 lbs, this is about a six-to-seven month supply. As our most economical nutritional-support product, this 2-Lb size of the Granules is also perfect for multiple-pet households, especially if taking advantage of our Quantity discounts. Purchasing 3 jars at once – for horses or a ‘multi-pet’ household – you save 2 ways: $21 on product costs AND a great deal more on shipping savings – as compared to multiple ‘single jar’ purchases. NZYMES® has offerings just right choice for your needs! Many of our customers came to us looking for natural answers for one of the reasons listed above. 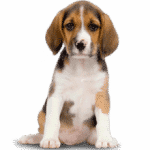 They soon discovered that other areas of their pet’s health underwent positive changes as well. Several have left their remarks on our REVIEW mechanism for others to read. For us, nothing can be more satisfying than being able to offer a simple product that can have a profound impact on the lives of animals everywhere! ALL INGREDIENTS ARE MADE IN THE U.S.A. Feeding Guidelines: Product is not meant for human consumption and intended for supplemental use only. The product is not intended as a pet’s primary daily meal or food source. DIRECTIONS: NZYMES® Sprouted Granules are recommended for daily use for pets of all ages based on the usage tables below. Daily usage amounts may be split into two meals. For Dogs and Smaller Animals: Mix with regular food or with plain yogurt (no sugar added). For Cats: Mix with daily meals; Mix with a little tuna in spring water or plain yogurt (no sugar added). For Birds: Mix with their regular feed. For Small Birds: Reduce amounts by half. 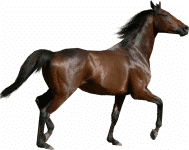 For Horses: Mix with the horse’s regular feed or feed by hand. For Horses Over 1000 LBS: Increase the usage amount by 1 teaspoon for each additional 250 lbs. of total body weight. We generally suggest to DOUBLE the usage amount for the first 2 weeks. However, some NZYMES® Programs may begin with lower usage amounts. Usage amounts may be split into two meals. The extra boost supports the body with recovery issues and detoxification processes. Remember to provide fresh water in a clean container for your pet daily. Every situation is unique. 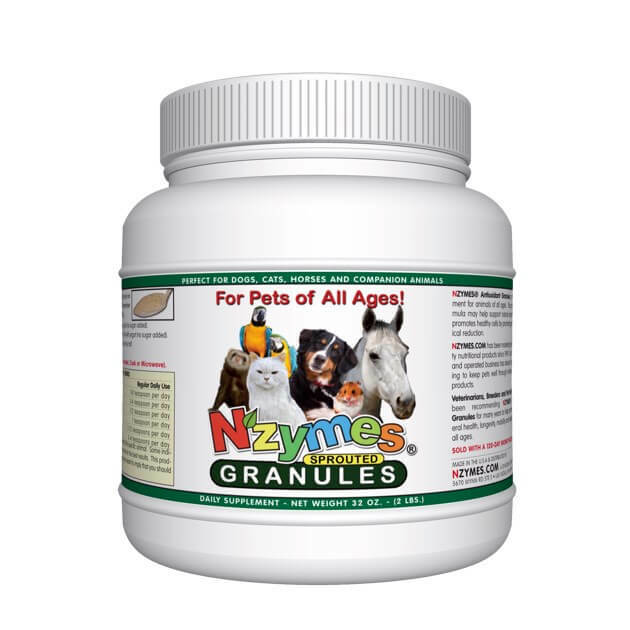 The amount of NZYMES® Sprouted Granules to be given depends on the needs of the specific animal. Some pets may require doubling or tripling of the regular daily usage amount for the best overall results. This product works nutritionally; any results are nutritional and in no way meant to suggest you should not seek Veterinarian advice. Be sure to see your preferred veterinarian for any special circumstances.